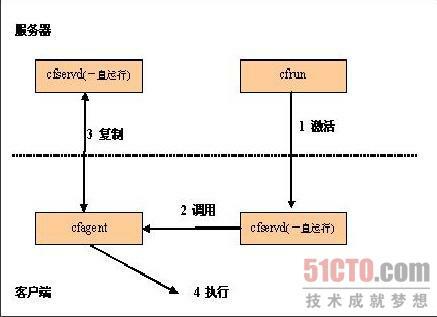 cfrun(0): ………. [ Hailing 192.168.0.115 ] ………. The authenticity of host ‘192.168.0.115 (192.168.0.115)’ can’t be established. RSA key fingerprint is 62:ef:31:0b:ee:89:74:f8:94:4d:ec:11:ee:fa:18:79. Warning: Permanently added ‘192.168.0.115’ (RSA) to the list of known hosts. cfengine:centos2: Finished script /bin/echo Danger, Will Robison! "/bin/echo Danger, ======Will Robison!" 我只是在这个地方加了几个等号输出. cfengine:centos2: Server returned error: Host authentication failed. Did you forget the domain name or IP/DNS address registration (for ipv4 or ipv6)? cfengine:centos1:/bin/echo Dange: Danger, Will Robison! cfengine:centos1: Finished script /bin/echo Danger, Will Robison! centos2.yahoon.org (192.168.0.115) 56(84) bytes of data.